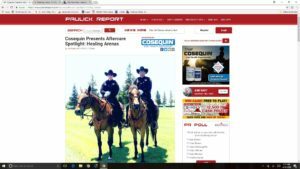 We’re in National Thoroughbred Racing News! – Healing Arenas, Inc. Thank you Jen Roytz for the wonderful article in the Aftercare Spotlight of Ray Paulick’s Paulick Report!